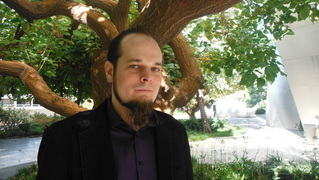 Timothy A. Helisek is the first place winner of the 2004 edition of the Normandale Composer’s Competition for his classical chamber piece 'Beauty in Sadness.' 'Dancing Towards the Sun,' also a chamber piece, won first place in the same competition in 2005, as well as second place in the Minnesota Music Educators Association Composition Contest the same year. 'Ars Moriendi,' a work for large orchestra, was given an Honorable Mention in the 2012 Minnesota Orchestra Composer Institute. 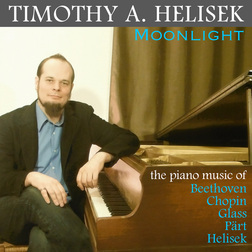 Timothy's latest piano album, Moonlight, features a diverse mix of classical piano music ranging from Beethoven to Philip Glass. 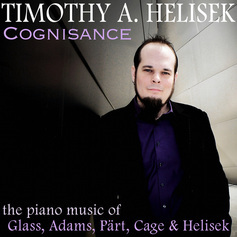 His first album, Cognisance, is a collection of five classical works composed by some of the greatest composers of modern music: Philip Glass, John Adams, Arvo Part, and John Cage. His 50 minute long work for piano and electronics, 'Animating Existence,' was released for CD and digital download in February 2011. Each movement is composed using sounds recorded from a different inanimate object. Along with the piano, these sounds are then assembled using algorithms and computer techniques. The Time EP, released in October 2011, contains three electronic pieces based on the passage from the Bible found in Ecclesiastes 3:1-8. In 'Man Cannot Hit On The Right Time To Act' a special mathematical formula is used to tie each word to its phrase and the phrase to the entire passage. His albums are available worldwide through his record label, Helisek Music Publishing, which releases classical, children’s music and ringtones. Two of his ringtones have hit number one on the classical music charts in the iTunes Ringtone Store. Several other tones have charted in the jazz, soundtrack and Hip-Hop/Rap categories. Timothy has performed on the piano and celeste with the Metropolitan Symphony Orchestra of Minnesota and has performed the works of many great classical composers. He has worked as music copyist and orchestrator for a variety of composers and publishers including Garry Schyman, William Goldstein, Dionne Warwick and Century City Masterworks. As a film composer, he has composed for dozens of shorts, features and commercials. His music and sound effects have been heard on many shows including Survivor, CBS News, VH1's Behind the Music, 60 minutes, The Mentalist, Bad Girls Club and NCIS: Los Angeles. Timothy A. Helisek graduated with a Bachelors Degree in Media and Commercial Music Composition from California State University Northridge in 2008. He obtained an Associate of Applied Science degree in Guitar Performance from McNally Smith College of Music in St. Paul, Minnesota in 2004.